Casually Dressed Young Stylish Female Traveller Checking A Departures Board At The Airport Terminal Hall In Front Of Check In Couters. Flight Schedule Display Blured In The Background. Focus On Woman. Фотография, картинки, изображения и сток-фотография без роялти. Image 41402670. 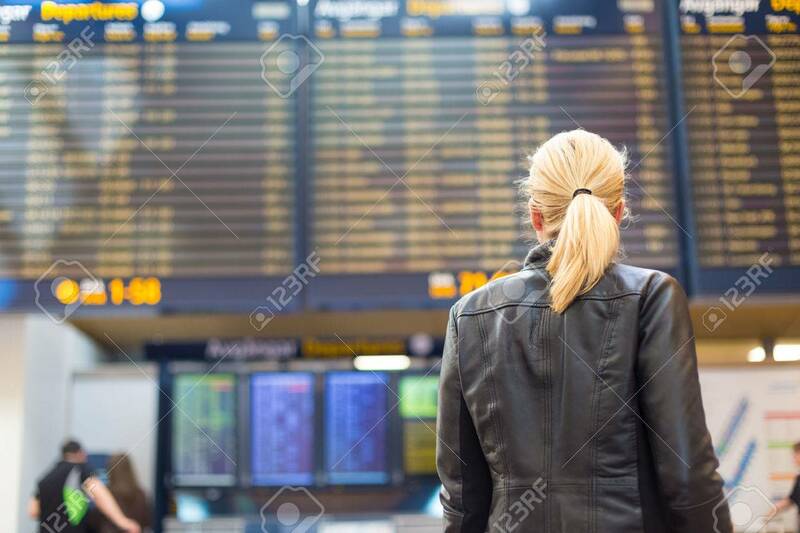 Фото со стока - Casually dressed young stylish female traveller checking a departures board at the airport terminal hall in front of check in couters. Flight schedule display blured in the background. Focus on woman. Casually dressed young stylish female traveller checking a departures board at the airport terminal hall in front of check in couters. Flight schedule display blured in the background. Focus on woman.